There is not much information available in the internet about the history of swimming pool heat pumps. This page was prepared based on Marcus Miller personal experience in the heat pump industry. It tells how he first was introduced to swimming pool heat pumps and all the changes he has seen through the years. His personal views are noted here. When Marcus Miller started out as an apprentice in the HVAC field in the late 70’s and early 80’s, he met an engineer at one of his wholesalers buying boxes of electrical control relays. He started a conversation with the engineer who explained to him what he was doing that’s when he first learned that people were trying to engineer heat pumps to heat & cool pools. Marcus thought that this was a great idea as he knew heat pumps are one of the most efficient ways to heat and cool air and water. Marcus had experience repairing heat pumps for homes and businesses and also had repaired gas heaters for swimming pools and spas. Heating a pool back in those days with propane was known to be extremely expensive and year round or seasonal heating was out of the reach of most pool owners. Marcus kept in touch with all the developments and progress of this new industry and was first in line to do warranty service on the early pool heat pump models from a few of the first manufacturers. The first units ever built did not have titanium heat exchangers so the pool owner or the pool service company had to make sure that the PH of the water was always in balance. Some of this new units were taller than Marcus and he is pretty tall. Some required a lot of maintenance as they use belts to run the fan motor as opposed to direct drive fans of today. Many times Marcus didn’t know if the howl coming from the back yard was a coyote pack or a loose fan belt on the blower wheel of the swimming pool heat pump. Even though they used copper nickel or stainless steel heat exchangers, some of the units that Marcus serviced were still running 20 years later. We are at the point now that we have the best swimming pool heat pumps that have ever been made. Many have polymer cabinets with stainless steel fittings and coils are dipped to protect against corrosion. 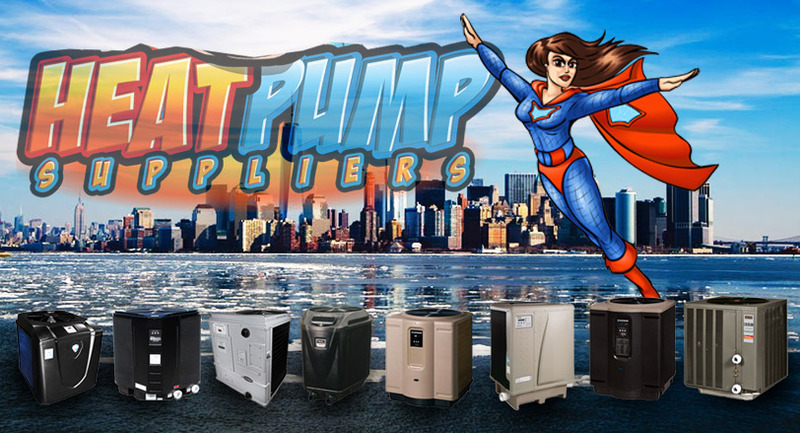 Now most heat pumps are tested by recognized national testing agencies and efficiency and BTU numbers are verified so the customers knows exactly what they are getting and can compare them to other models from other manufacturers. Marcus remembers using metal duct tape on rusty metal cabinets that were falling apart due to the proximity of salt air. He did this to save his customers money as he wasn’t the biggest fan of duct tape some of those heat pumps lasted another ten years and his customers were grateful that he didn’t push a new heat pump on them. Thankfully we don’t have to deal with metal cabinets anymore. Marcus enjoyed swimming pool heat pumps so much that he slowly switched from HVAC to swimming pool heat pumps only. Sitting by the pool repairing a pool heat pump was a much nicer experience than crawling 30 feet through fiberglass in 130 degree attic on an August day with roofing nails poking him in the head. Plus he doesn’t need a tetanus shot to work on a pool heat pump. Marcus had seen small companies grow big and big companies disappear and knows who is having their units made in China and other non USA countries. He has personally worked on most every heat pump manufacturer and he knows what works and doesn’t work. He knows many of the engineers and factory owners and has a good relationship with them. He has a better relationship with the engineers that are taking his suggestions on how to make the units easier to service and more reliable. He has known some mad geniuses that have made amazing products ahead of their time. One that comes to mind from 20 years ago is the swimming pool heat pump that heated and cooled the pool, heated the domestic hot water in the house and heated and cooled the house all with one unit. Marcus still has hope that somebody will step up and bring this technology back in a reliable and practical way. He is still excited to be involved in the swimming pool heating industry. His involvement has led to similar applications in other industries like aquaculture, aquaponics and natural pond heating in the agricultural industry. He looks forward to being part of helping farmers and others in the agricultural industry improve conditions that will help plants and fish grow faster and healthier, and to contribute greener technology solutions for a better tomorrow.